Many people including beginners, intermediates and surprisingly Computer literates in various fields hate and detest typing because they think it is just stressful, time consuming and hard to learn. When we all learn to enjoy typing it would be very easy to type with speed and accuracy. Here are some tips to help you to increase your type speed. Choose a comfortable chair and sit straight. Place your fingers correctly on the keyboard. Type using the pads of your fingers, don't use finger tips or nails. The Keyboard should be at waist level approximately. Use both your hands for typing. You can check this visual tutorial for understanding placement of your fingers on the appropriate keys easily. Use the thumb for Space Bar. It is better to memorize the location of the keys. 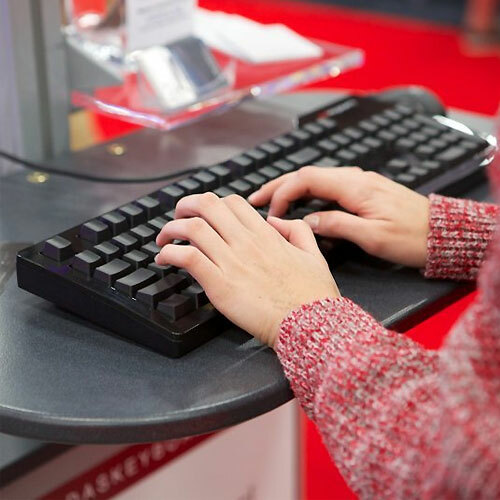 The best way to learn is by practicing, so even if you are still hunting and pecking for keys at the moment, take at least 10 minutes out of each day at the keyboard to devote purely to typing practice.